All components furnished in Minimum Theremin 102 Kit Products and factory-assembled versions are RoHS compliant or compliant by exemption, and applicable for export to all markets requiring RoHS compliance. The populated printed circuit board is furnished with a trimming potentiometer ("ZERO CAL") that is user-calibrated to obtain the specified relationship of hand distance and tone frequency. 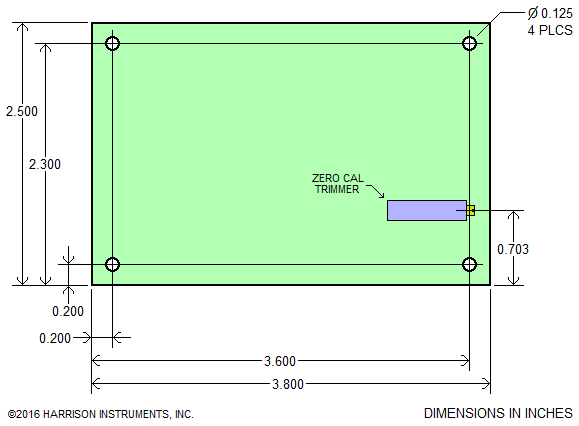 The calibration procedure is described in the 102 Minimum Theremin Kit Assembly Instructions. To ensure proper calibration, this product should be used with the 102-ANT antenna assembly. OPERATING VOLTAGE RANGE 6 TO 12 VOLTS, D.C.
convey a license to manufacture the product. Specifications may change without notice.